In this class, we will prepare for our twelve months of blanket squares. Each month, I will release a new class showing the techniques used in making our monthly blanket squares. A final class will show you how to put those squares together into a baby, lap, single, or larger blanket! More squares means a larger blanket. This prequel class will also offer a refresher course on how to cast-on, knit, and purl to help make you a success with your knitted blanket. Each square will offer patterns in both charted and written form. Tips and techniques will be given to help you read a chart if this is your first time. Our first two squares are both knit/purl combination patterns. Easy and accessible, these squares will build your confidence to tackle the next series of squares. This prequel month's project is a gauge swatch. 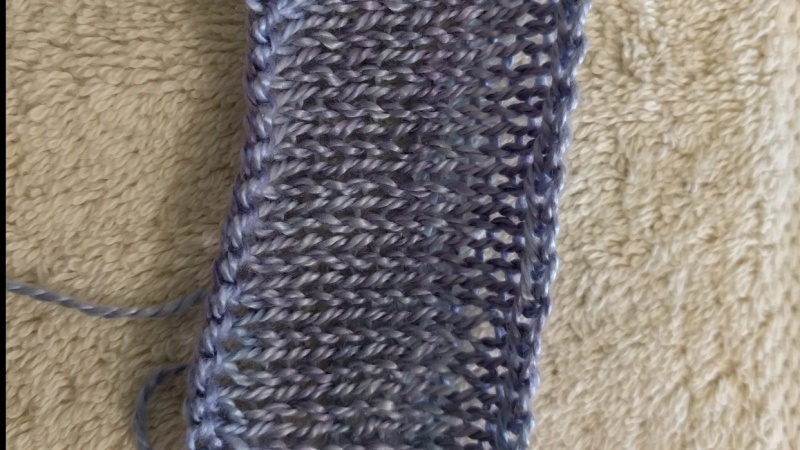 This prequel month's project is a gauge swatch. Cast on 20 stitches and knit in stockinette (knit one row, purl one row) until you have 20 rows.